In the Indonesian Province, every year, there is an annual Montfortian retreat. Because of the distance, the annual retreat is always held in three different regions: Kalimantan, Java and Flores. Fr. Carmelo, SMM, from the Philippines was invited to animate the retreat. He had spent about one month to animate the retreat moving from one region to another (Kalimantan – Java – Flores). 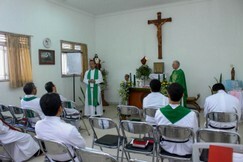 In Java region, the retreat was held in Khalwat Betlehem retreat house, Jedong, Malang, East Java from September 12 to 15, 2013. There were 14 perpetually professed confreres (12 priests and 2 deacons) who participated in this retreat. 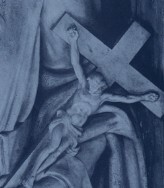 The theme of the retreat that the animator offered was “Fully Alive in Christ as Montfortians”. Based on the theme, the participants were invited to ponder on 4 important aspects, namely, Baptism, the Cross, Community, and Apostolate. In the beginning of the retreat, Fr. Carmelo invited the confreres to be aware that retreat is God’s grace: a moment of grace to ponder on the life journey; a moment of reconciliation; and a moment of on-going renewal. This awareness helped the participants to go into deeper reflections. 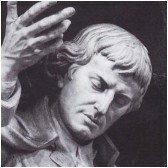 In the light of St. Montfort teachings, the 4 important aspects enriched and deepened the spiritual life of the participants. In the closing mass, the participants were invited to renew their consecration to God through the hands of our Mother, Mary. Using the simple rite of the consecration, they recited the consecration prayer and they approached the baptismal font, making the sign of the Cross and they proceeded to the statue of Mama Mary and kissed her. The participants were touched by this simple rite. This act of consecration reminded them of the on-going renewal of their baptismal promises. Thanks to Fr. Carmelo who was available to help the Indonesian confreres to enkindle their spirit of being Montfortians. May the fruits of the retreat remain and keep the participants fully alive in Christ as Montfortians.